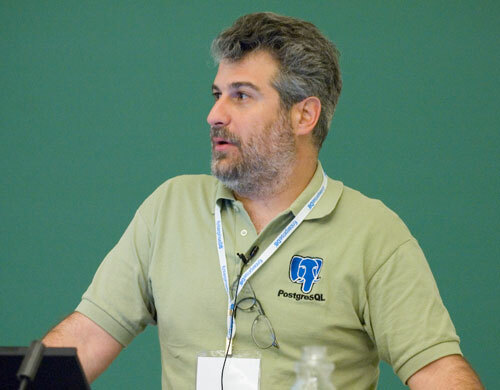 The International Postgres conference series continues to grow! PGConf APAC 2018 is the latest PGConf.Org addition. Following the success of two consecutive pan-Asia Postgres event - pgDay Asia 2016 and pgDay Asia 2017 held along with FOSSASIA, we are pleased to announce PGConf APAC 2018 to be held in Singapore from 22nd to 24th of March, 2018. Once again the conference will be held along with FOSSASIA - one of the largest FOSS conference on the planet. PGConf APAC will be PostgreSQL conference series for all PostgreSQL enthusiasts and users in the Asia Pacific region. You will be able to enjoy one of the largest PostgreSQL conference in Asia and one of the largest FOSS conferences to meet like minded individuals in the same week! Of course we are happy to accept paper proposals on any other interesting topics as well. This conference is organized by the PostgreSQL people from Asian communities. If you have any question, feel free to contact us on pgconfapac(at)googlegroups(dot)com. For sponsorship related queries please get in touch with our team at apac-organizer(at)pgconf(dot)org. We just finished the first PGConf South Africa and it was a fantastic success. When we first started thinking about the event, we were considering 30 people attending as a good turnout and there were nearly 60 people in attendance. To put that in perspective, the first PGDay New York event in 2012 had 55 people attend. I can honestly say that South Africa and even the whole continent of Africa was craving a PostgreSQL event. There were some great technical talks on topics like PL/pgSQL stored procedures, PL/Python stored procedures, replication, and security, but what was truly fascinating was the use cases. PostgreSQL is the key data store behind the MeerKAT telescope handling a massive amount of sensor data, is key to helping South African farmers to know where to plant their crop and is utilized extensively through the medical industry in South Africa. The coolest thing learning how PostgreSQL was used for quality control from a 3D printer. In this one, it was not how PostgreSQL was used, it was that the 3D printer was actually a high powered laser that would melt through titanium powder. Thank you to the sponsors, Quant Solutions and OfferZen to help to make the event possible. And a special thank you to Kobus Wolvaardt who organized the event. PGConf US Local: Seattle CFP reopened and three new tracks added! Oh my goodness, Data Days! When we rescheduled PGConf US Local: Seattle from August to November we did so due to attendee feedback. It was amazing - people didn't want to go to a conference on Saturday in August (I wonder why). I know, we should have known but it was a new model and we tried. We are extremely pleased with the results of the shift in schedule. The conference now takes place during "professional hours" on "professional days." Because of the shift and sponsor support we have added three new tracks, reopened the CFP, and created Data Days. The new tracks are: Big Data, AWS/Cloud, and Data Science. 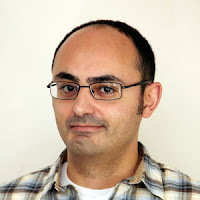 As these three Postgres content areas are Postgres independent we are also requesting that all communities within this realm submit to present. Let's turn PGConf US Local: Seattle into not only the best West Coast Postgres Conference but also the most highly integrated, heterogeneous data event in the Pacific Northwest. PGConf US, in partnership with Ohio Linux Fest, is pleased to announce the schedule PGConf Local: Ohio is now available. The inaugural PGConf US Local: Ohio Conference (PGConf Ohio) will be held September 29th - 30th at the Hyatt Regency Columbus Ohio (350 North High Street Columbus, Ohio, USA, 43215). Friday, September 29, 2017: Training. Registration for the PGConf Ohio trainings is open now. Conference speakers receive complimentary entry to the breakout sessions on September 30th as well as attendance to Ohio Linux Fest as well. The half-day training options on September 29th are separately priced sessions. As a nonprofit event series, funding is currently not available for speaker travel and lodging accommodations. PGConf US in conjunction with NYCPUG is pleased to present PGConf US Mini: NYC on September 14th, 2017. The doors open at 6:30PM and there will be three presentations as well as food, beverages and networking opportunities. Join the community in supporting this great no cost for attendance opportunity. You can find full details at the PGConf US Mini: NYC website. PGConf US Mini events are designed to bring an evening of high quality presentations to the local user groups. They are great opportunities to learn, network and socialize. If your community would like to join us in bringing a mini to your local community get in touch! We caught up with Alex Tatiyants after finding out about his Pev project. This is an awesome web based visual explain analyzer that is similar to the awesome explain.depesz . 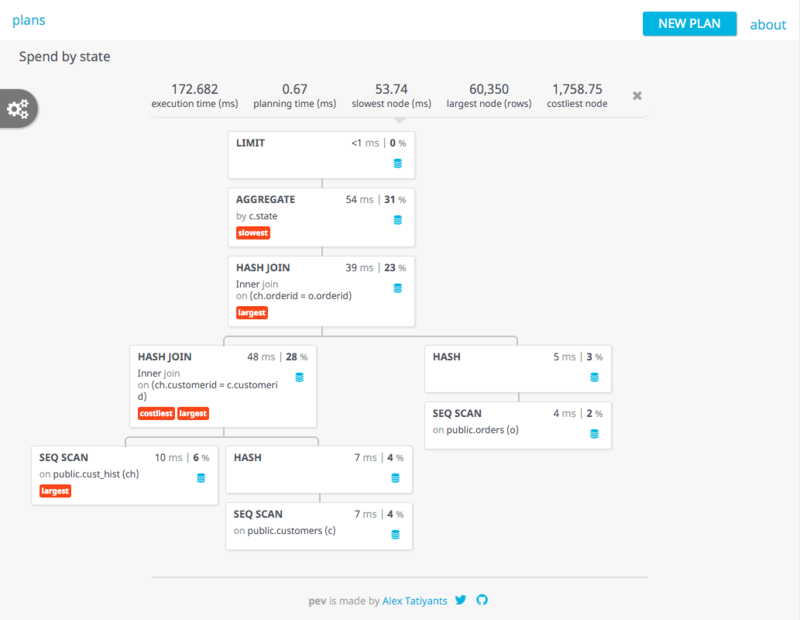 I created Pev (Postgres EXPLAIN Visualizer) to scratch my own itch. EXPLAIN generates a wealth of information, but isn’t easy to make sense of. I wanted to create a tool that helps me quickly diagnose problems with queries. Apparently, other people found it useful as well. Why did you chose Postgres for your project? Postgres is a fantastic database: performant, mature, feature rich, and of course open source. And in addition to being a first rate relational database, it has very strong document store features as well. Have you attended a PgConf US event or do you plan to? I haven't had a chance to attend PgConf. Are you interested in contributing to the community further and if so, in what fashion? I don’t have any concrete plans at the moment. PGConf Org: Postgres South Africa CFP open and dates announced! Join the fantastic and growing Postgres community in Cape Town, South Africa for a single day event on October 3rd, 2017! The event is being hosted by fellow Postgres advocates who travel from South Africa each year to attend our National Event in order to increase their knowledge of Postgres and be a part of the community. This year they are joining us and making a commitment to build out our International community and conferences! The CFP is open is open from now until August 25th. We will notify speakers by September 1st! Talks are subject to our presentation guidelines. This single day event takes place at the same venue as PyCon South Africa and is scheduled the day before PyCon to ensure the greatest possible value in attending. Local events are designed to bring comprehensive educational content and networking opportunities to the "local" Postgres community where the event is being held. 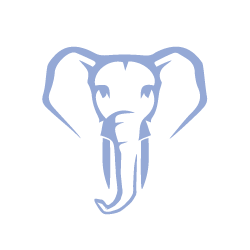 They are perfect opportunities to show support for Postgres, find leads, and build relationships with other professionals and companies using and supporting Postgres. The Chairs of PGConf US have rescheduled the Seattle and Austin Local events. After much deliberation we believe moving the events to a weekday format later in the year will offer a better opportunity for those who wish to attend. The CFP for Seattle is closed but Austin is still open! On August 12th we have 14 break-out sessions between the Development and Operations tracks. A sample of our break-out sessions is available below but please check the full schedule for all of the fantastic content! PostgreSQL v10 an Amplified version of Postgres!